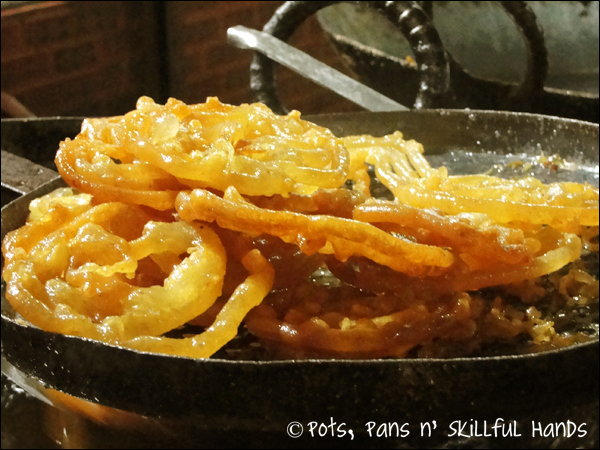 There are days when I crave Jalebis so much that I end up looking for recipes. It is virtually impossible to find one on the internet or at least one worth trying. A friend of mine has been begging me for a recipe for years now and the least I can do is let you know of the best Jalebis made in Pakistan. This one comes from the high mountains and the beautiful weather of Nathia Gali. These golden crisp Jalebis are instant heart-warmers.